The McCulloch Trim Mac Petrol Strimmer is designed for reaching tight areas and is extremely effective for cutting tough weeds and grass. 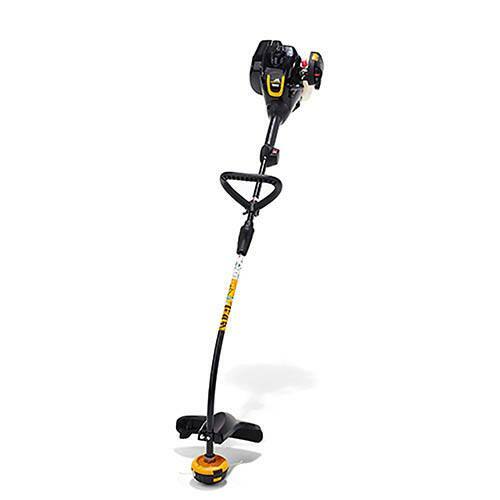 With a bent shaft and powerful it’s ideal for awkward areas where lawn mowers will not fit. Light and easy to use trimmer. The curved shaft and loop handle make the trimmer easy to work with, especially in awkward areas a lawnmower might not fit. The split shaft allows the trimmer to be used with many different attachments as well as enables compact storage and easy transportation. The powerful full crank engine features soft start to reduce starter cord resistance and has a fuel primer and choke for easier starting.